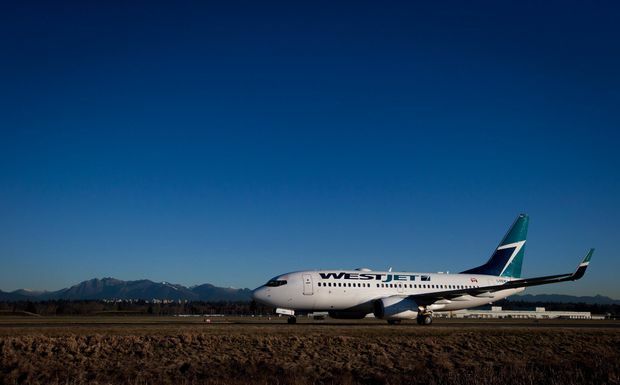 WestJet Airlines Ltd. is teaming up with the Royal Bank of Canada to create a new loyalty program that aims to attract a “very substantial” group of “very unhappy” customers from the Aeroplan program, which its rival Air Canada is preparing to replace in 2020. A Westjet Boeing 737-700 taxis to a gate after arriving at Vancouver International Airport in Richmond, B.C., in February, 2014. WestJet and RBC said Wednesday that they will launch the Ampli loyalty platform with offers and rewards for customers by the end of the year. The venture is an opportunity for the airline to take advantage of uncertainty about Air Canada’s decision to ditch the Aimia-backed Aeroplan loyalty program, said WestJet chief executive Ed Sims. When the decision was announced last year, it upset some customers who had collected points under the program for years and questioned how Air Canada’s new program would work. In marketing to that group, Sims said WestJet will highlight that the airline does not overbook flights or have blackouts when loyalty points can’t be redeemed. The platform will build on RBC and WestJet’s existing relationship, which includes a WestJet branded RBC MasterCard.